Last month, I was invited by the Tourism Promotions Board of the Philippines to take part on the TBEX PH Familiarization Tour. Instead of choosing the adventure-filled Bicol trip or the luxurious El Nido getaway, I chose to go back and revisit an intimate destination – ILOCOS. I grew up with a strong Ilocano upbringing because of my mother, who is from Binalonan, Pangasinan. 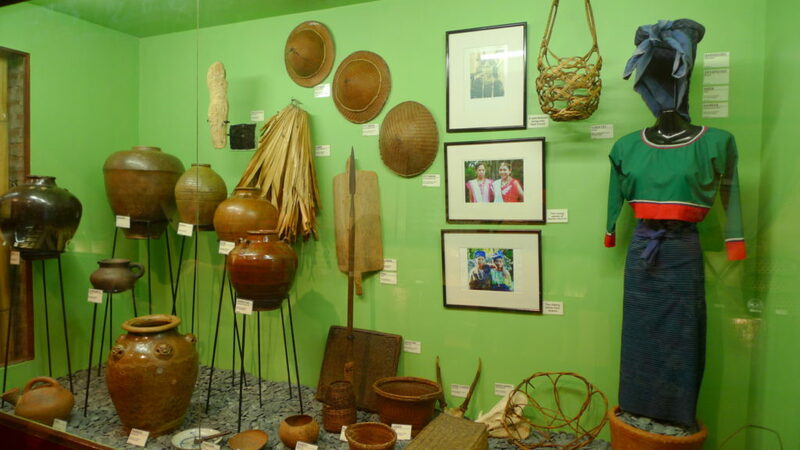 The Ilokano dialect is widely used in Eastern and Western Pangasinan. 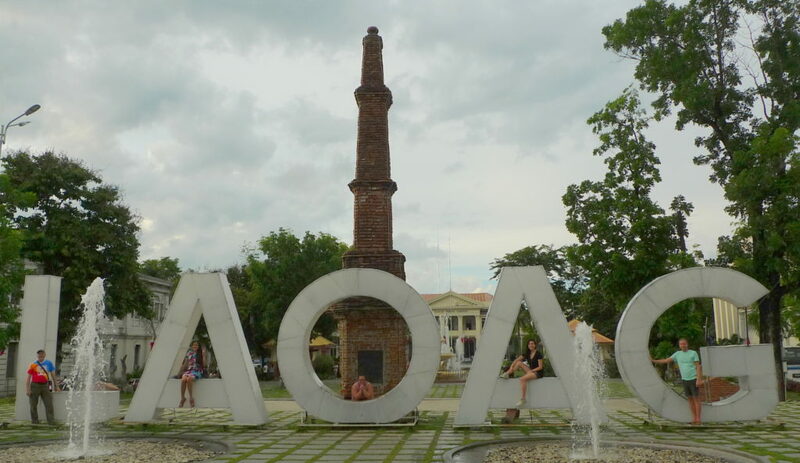 I remember visiting Laoag and Vigan frequently when I was a child, but I never really paid much attention. 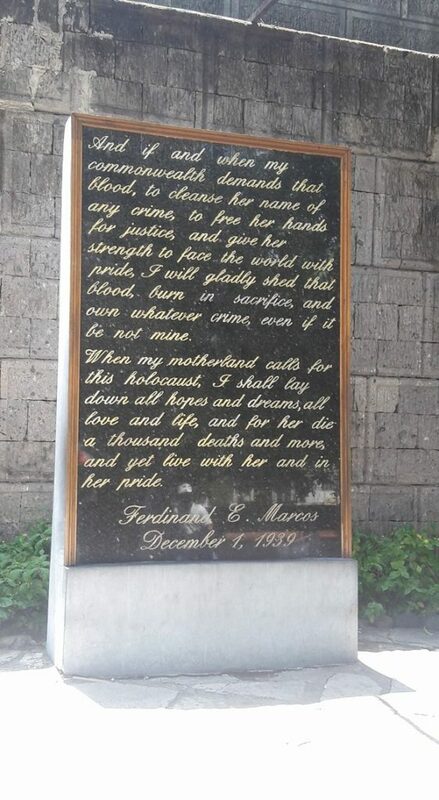 All I was concerned about is that I’d be able to visit the birthplace of well-known Filipino heroes and leaders and I’ll be visiting a ‘historical’ town. And empanada. And Bagnet. Four years ago, I embarked on a leisure trip in Ilocos Norte with a travel blogger friend whom I met for the first time. Also that year, I was sour-graping while walking in Calle Crisologo. This time, I’d like to revisit Ilocos Norte and Ilocos Sur with a different mindset. 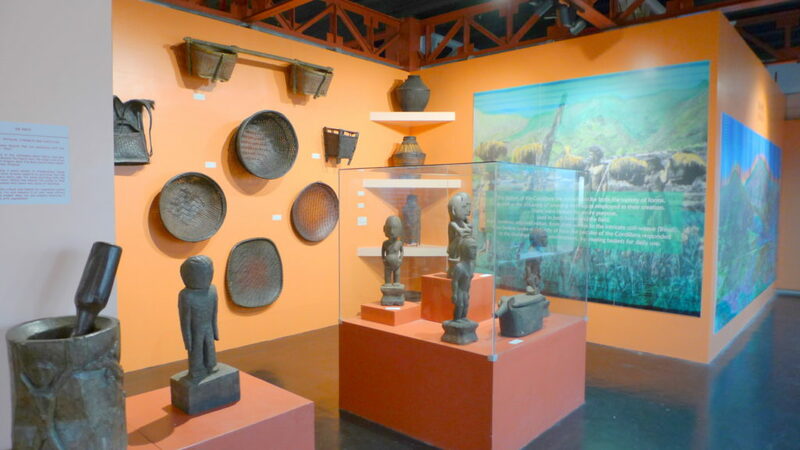 Instead of beach bumming in Pagudpud, I’d be indulging with historical facts in several museums and appreciate the uniqueness of the Ilocano culture. Together with four foreign travel bloggers who are all first-timers in the Philippines, it was a pleasure to answer some of their questions. From Hotel Jen, we went straight to Ninoy Aquino International Airport – Terminal 2 for our flight to Laoag City via Philippine Airlines. The Department of Tourism Region 1 eagerly welcomed us with big smiles and a promise of good late lunch treat. 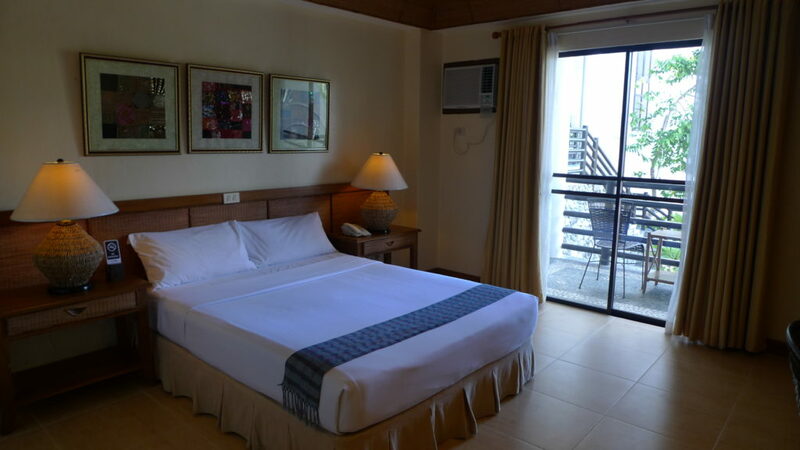 Java Hotel (check discounted rates) served as our home in Laoag City. Want to know why this hotel made me smile? The location. This hotel is located behind a gasoline station! Not only do they have a Balinese-Moroccan-inspired architectural design and lovely accommodation – they also happen to have an in-house restaurant called Eagle’s Nest where we had a sumptuous lunch filled with Filipino favorites! The rest of the afternoon was spent gallivanting around the city proper of Laoag. We went to Museo de Iloko, TAOID – Museum of the Cordilleras in Ilocos, Ilocos Norte Capitol (where the Marcos family standee welcomes guests), the Sinking Bell Tower, Laoag Cathedral, Laoag Fountain and the Empanadahan, where we feasted on special Laoag Empanada for late merienda! For dinner, we went to La Preciosa Restaurant via tricycle. I remember how happy my fellow travel bloggers were as they experience a typical Pinoy tricycle ride before it started to rain hard. We made it! La Preciosa Restaurant is one of the best restaurants in the city. We were served with a number of Filipino dishes, but we were all excited for their best-seller dessert – Carrot Cake! PAOAY, KUMAKAWAY! We started the day with a trip to Malacanang of the North or Malacanang ti Amianan. 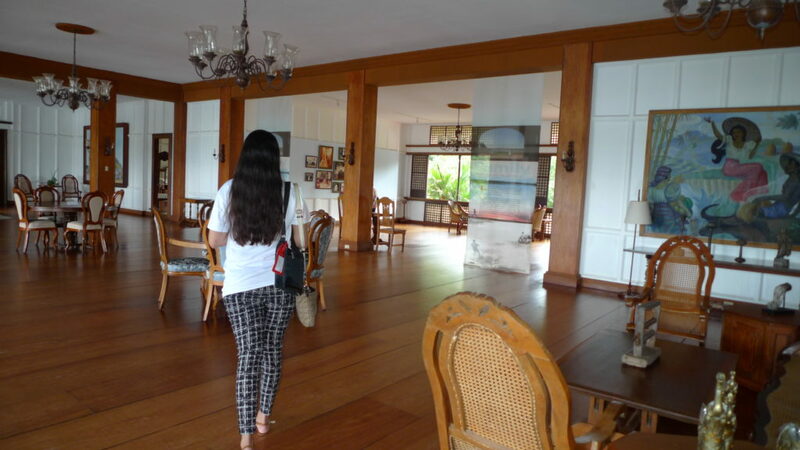 This is the official residence of Former President Ferdinand Marcos and his family during his term. It was my second time to visit the place and I noticed good improvements from my last visit four years ago. 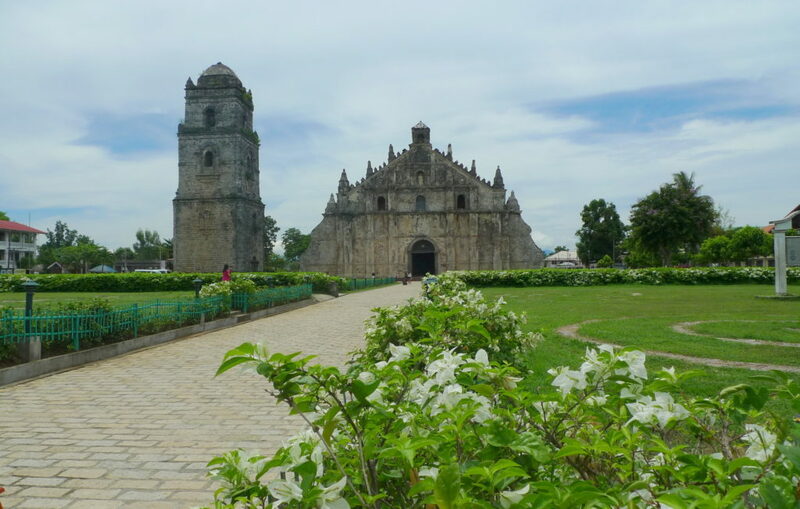 Our next stop is the PAOAY Church (or Saint Augustine Church), a UNESCO World Heritage Site declared in 1993 under the Baroque Churches of the Philippines. 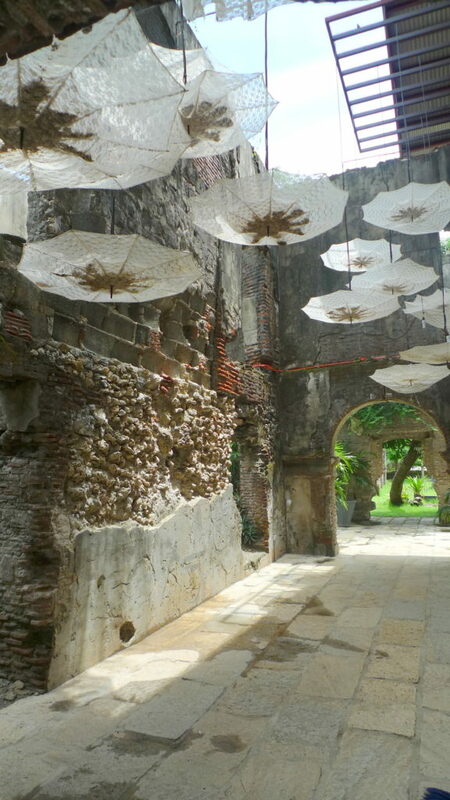 Just beside the church is the Paoay Convent Ruins, which is now being transformed into a tourist attraction. I like what they did to this former horror house – Yes, a former convent turned horror house turned Instagrammable spot! For lunch, we went straight to the famous Herencia Cafe. Guess what we had for lunch? Pinakbet and Longganisa Pizza! 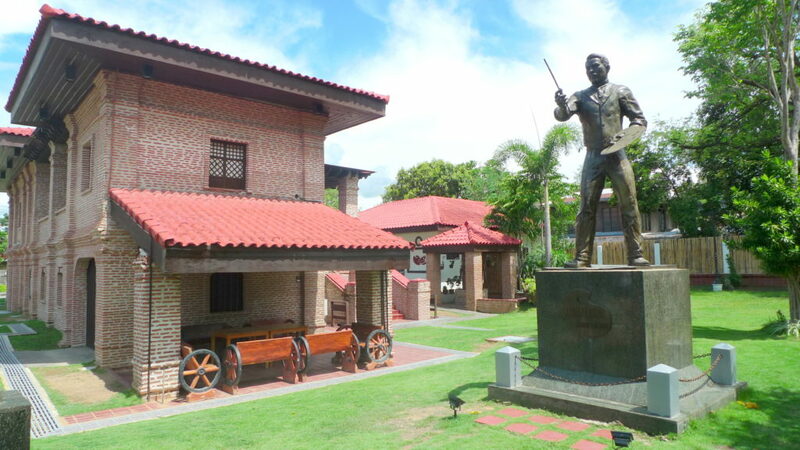 When traveling to Vigan from Paoay, it is a must to pass by the Marcos Museum and Mausoleum – whether you’re a loyalist or not. It is my first time to drop by the museum. 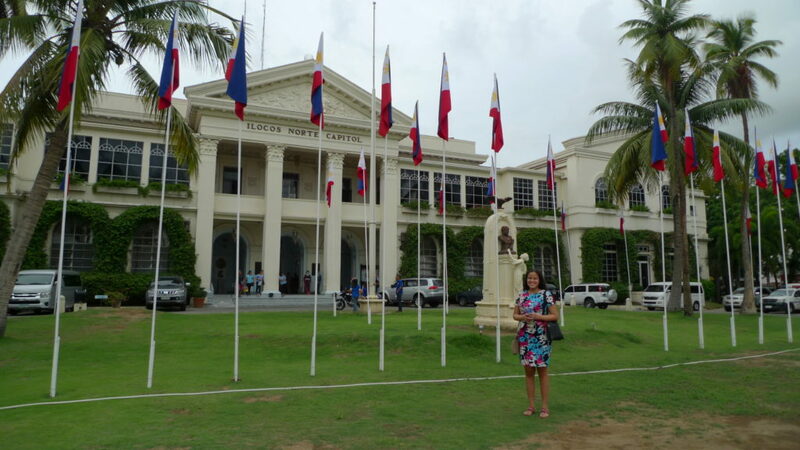 According to Miss Zaza (our tour guide for Ilocos Norte), she encountered a number of guests who have various opinions about Ferdinand Marcos. We were able to see the resting place of the former president and taking photos is prohibited. As someone who is from the ‘Solid North’, I am happy that the newly-elected leader of the country is open to the idea of giving Marcos a proper burial. Ilocanos will be happy if he grants this wish. Unfortunately, we were not able to go inside the museum as it was closed that day for renovation. Whether you love or hate Imelda, her stylish possessions will make you drool. I better stop with the Marcos talk now. Let’s move to BADOC! 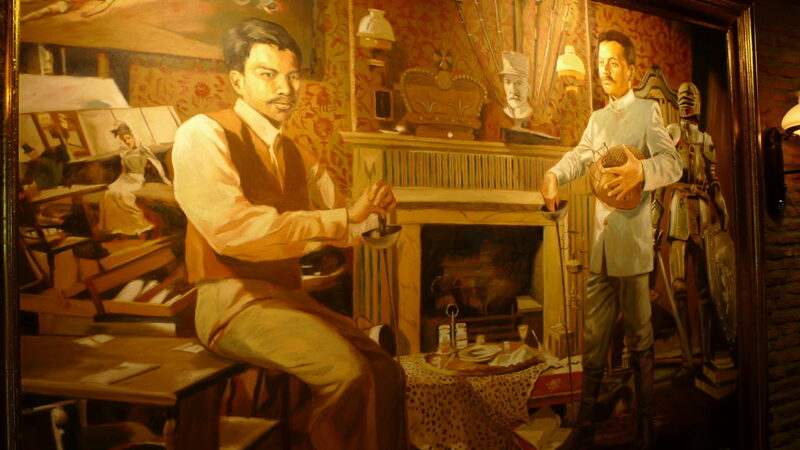 The Juan Luna Museum is now transformed into Juan and Antonio Luna Museum. Thanks to the surprise hit movie Heneral Luna! Vigan is one of the most visited cities in the Philippines. Want to take a trip down memory lane? Visit the famous Calle Crisologo! 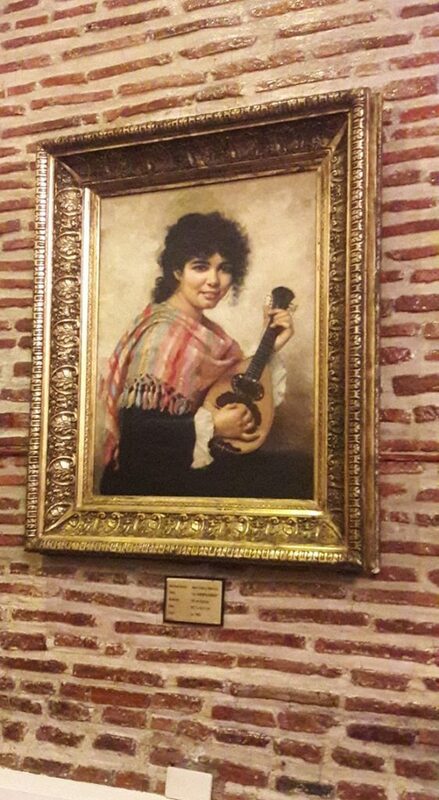 Portrait ofMaria de la Paz Pardo de Tavera, wife of Juan Luna. Yep, that’s an original painting! 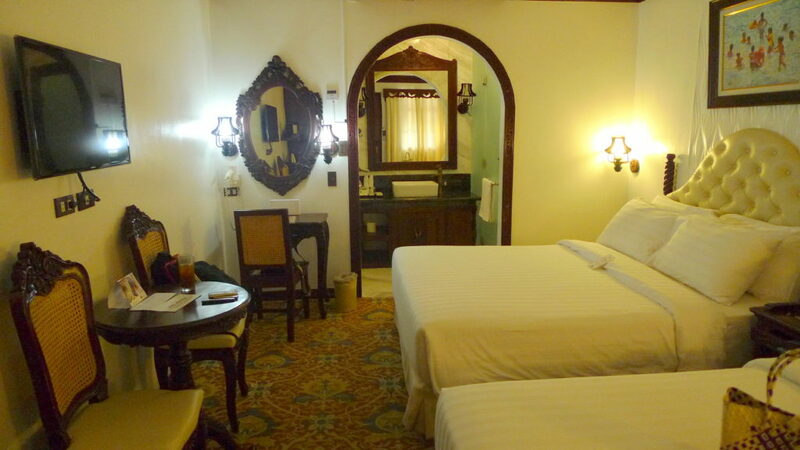 The rooms are inspired by the old Spanish colonial days, but everything else is modern. I will write a separate hotel review for that! 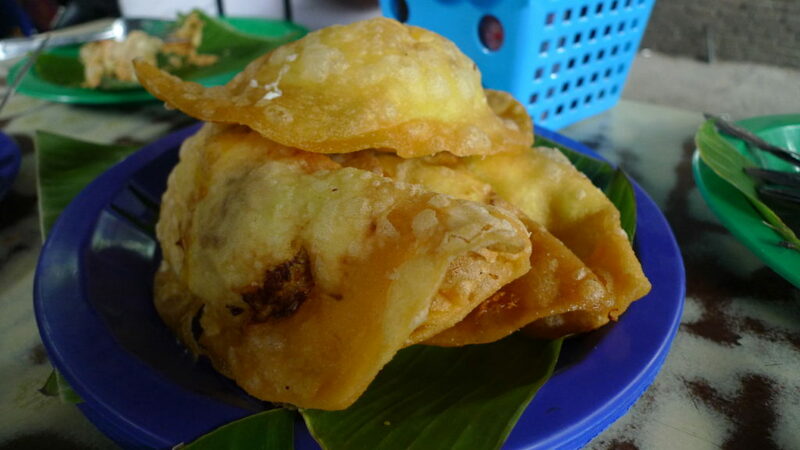 That afternoon, we went to the Vigan Empanadahan in the city proper. After convincing them to taste Vigan’s version of empanada, okoy and isaw (chicken intestines), we went straight to Jollibee! We were supposed to walk around Calle Crisologo at night, but the heavy rain deprived us of doing so. I was happy to spend the whole night in my hotel room. The next day, we enjoyed a calesa tour! 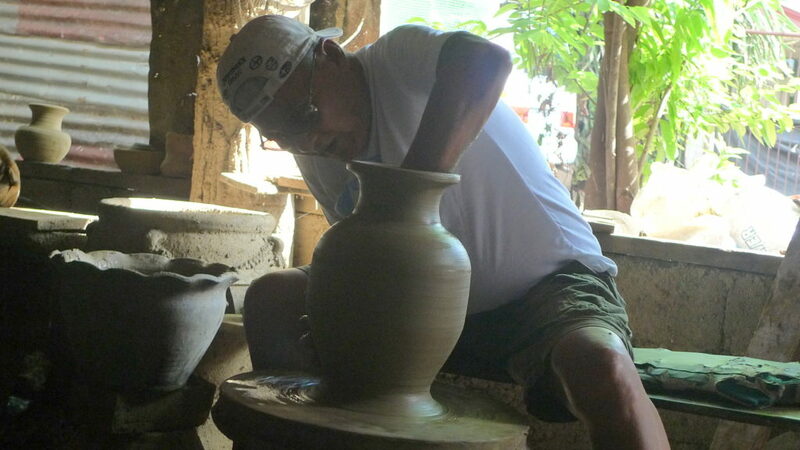 Some places we visited include the Pinagburnayan pottery, Cristy Loom’s Weaving (with abel weavers), the Syquia Mansion and Bantay Church. NOTE: I was invited by the Tourism Promotions Board of the Philippines and Travel Blog Exchange (TBEX). A more detailed museum guide, hotel reviews and Ilocos itineraries coming soon! Excellently written up. Very informative and so inviting . More power to you Senyorita. You got some great pics out of this trip! Thank you Scott! It was nice meeting you in the trip! What a comprehensive post! Been to Ilocos only once and I still can’t get over how delicious their empanda is. Hoping I can go back there within the year.